The attorney-client contract forms the foundation of the relationship. 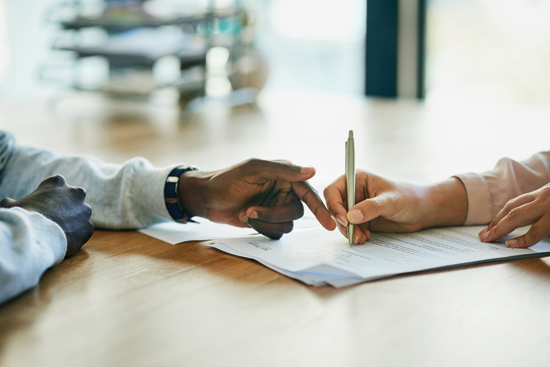 Even though there are a few exceptions to this requirement, it is always preferable that a written agreement memorialize the attorney’s role and objectives, the fee, the obligation to pay costs and any limitations on the scope of representation. The requirement of a written agreement is found at Business and Professions Code section 6148. A lawyer must disclose, in writing, that he/she has no professional liability insurance at the inception of the engagement or when the lawyer loses such insurance. There is no requirement that a lawyer voninform a client that he/she has such insurance. Flat Fees: A lawyer may charge a flat fee for specified legal services. “A flat fee is a fixed amount that constitutes complete payment for the performance of described services, regardless of the amount of work ultimately involved, and which may be paid in whole or in part in advance of the lawyer providing those services.” There are special rules regarding informed consent and whether the funds may be deposited in the lawyer’s general versus trust account. (See Rule 1.15(b)). Retainers: An attorney may require that a client advance money for anticipated legal services and costs, but any unearned funds must be returned to the client on the termination of the relationship. (See Rule1.16(e)(2).) An attorney can’t charge a non-refundable retainer for legal services to be rendered. Fee divisions among lawyers who are not in the same firm require (1) a written agreement between the lawyers, and (2) written client consent that includes specific details including the fact that a division of fees will be made, the identity of the lawyers or law firms that will receive the fees, the terms of the division, and that the total fee is not increased by reason of the agreement to divide fees. Conflicts of interest must be disclosed in writing and there must be written informed consent by the client. Caveat: Representation of conflicting interests is allowed only if the lawyer has a reasonable belief of being able to provide competent and diligent representation to each client. The potential aggregate settlement for two or more clients requires written informed consent of each. It is advisable that there be an agreement at the outset of the case. Examples: Injured client and loss of consortium claim of spouse; heirs in a wrongful death case; multiple clients injured in one auto collision. An agreement for a fee based on the outcome of a case must contain statements that explain (1) the rate, (2) how costs will affect the client’s net recovery, (3) the client’s obligation to pay any compensation to the attorney for related matters (such as collection of a judgment); and (4) that the fee is not set by law but is negotiable between attorney and client (except MICRA cases). Failure to comply with any provision of this section renders the agreement voidable at the option of the plaintiff, and the attorney shall thereupon be entitled to collect a reasonable fee. Medical malpractice cases have requirements in addition to those for ordinary contingent-fee cases, including, (1) the fee must be based on the net, not gross recovery (subtraction of costs of prosecution), (2) the fees are limited to 40 percent of the first $50,000 recovered, one-third of the next $50,000 recovered, 25 percent of the next $500,000 recovered, and 15 percent of remaining amounts, and (3) that the maximum fee is set by law, but a lower rate may be negotiated. A lawyer may not charge a contingent fee in a family law matter, including dissolutions and annulments, or basing the fee on the amount of child support or property obtained. A lawyer can, however, have a contingent fee based on post-judgment balances of spousal or child support or other financial orders. Prospective limitation of a lawyer’s liability is prohibited. Settlement of a claim or potential claim is permitted only if the client is represented by independent counsel or advised in writing to consult independent counsel. Competence is defined as the learning and skill, mental, emotional and physical ability necessary for the performance of the services. If the lawyer lacks the learning and skill necessary, he/she must refer the matter unless the lawyer (1) associates or consults with a competent lawyer, or (2) acquires sufficient learning and skill before performance is required. However, it is unconscionable to charge a fee if the lawyer has failed to disclose material facts. “The relation between attorney and client is a fiduciary relation of the very highest character. The duty of a fiduciary embraces the obligation to render a full and fair disclosure to the beneficiary of all facts which materially affect his rights and interests. . . .
John P. Blumberg has been practicing for 40 years, specializing in civil trials and medical and legal malpractice cases. He is AV-rated, Board Certified as a Trial Lawyer by the National Board of Trial Advocacy, Board-Certified separately in Medical Malpractice and Legal Malpractice by the American Board of Professional Liability Attorneys, and a Certified Specialist in Legal Malpractice by the California State Bar, Board of Legal Specialization. He was accepted into ABOTA in 1991 and has earned the rank of Advocate with over 60 jury trials to verdict. Mr. Blumberg currently serves on the Board of Governors of the Consumer Attorneys Association of Los Angeles and the Board of Governors of the American Board of Professional Liability Attorneys. He has previously served on the National Board of the American Board of Trial Advocates and the Board of Governors of the Consumer Attorneys of California. 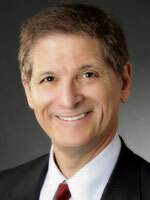 His firm, Blumberg Law Corporation, is located in Long Beach, California.